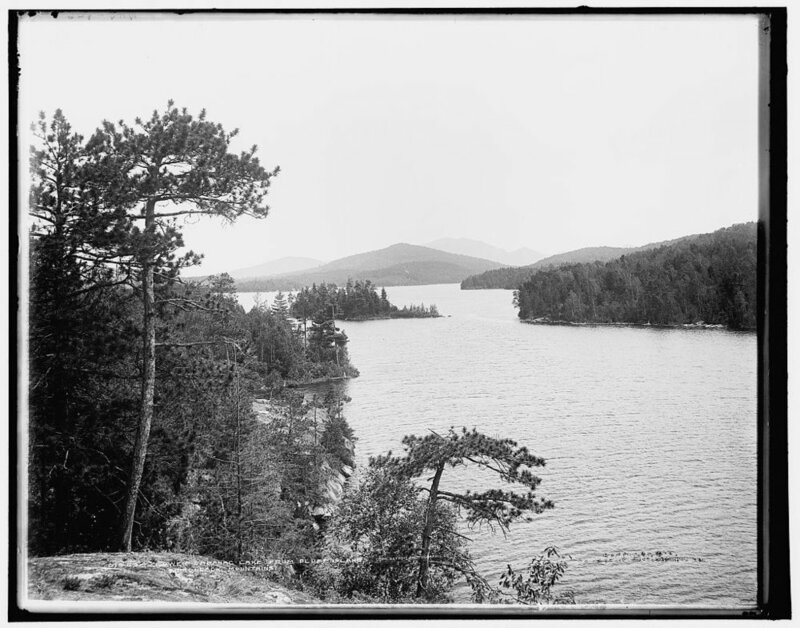 It was during the years when the Saranacs were divided that Howling Wind, one of the young men of Indian Carry, saw and fell in love with a girl of the family on Tupper Lake. He quickly found a way to tell his liking, and the couple met often in the woods and on the shore. He made bold to row her around the quieter bays, and one moonlight evening he took her to Devil’s Rock, or Devil’s Pulpit, where he told her the story of the place. This was to the effect that the fiend had paddled, on timbers, by means of his tail, to that rock, and had assembled fish and game about him in large numbers by telling them that he was going to preach to them, instead of which moral procedure he pounced upon and ate all that were within his grasp.